They'll still be plenty of Jimmys on late night TV, at least until 2019. 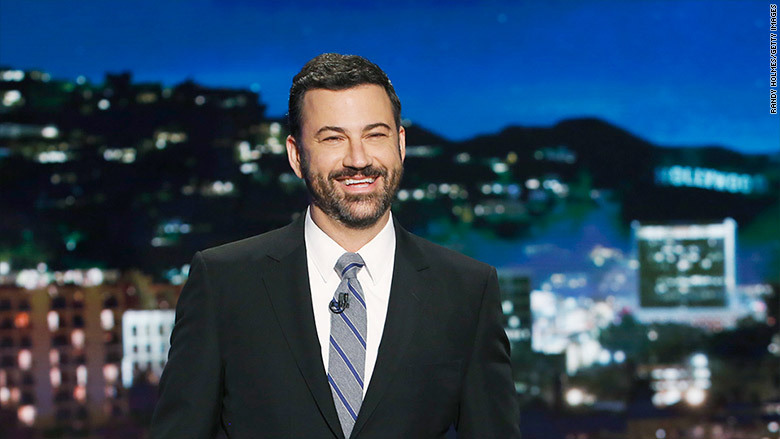 ABC has renewed Jimmy Kimmel's deal for another three years, the network announced on Tuesday. This extends Kimmel as ABC's late night host on "Jimmy Kimmel Live" through the fall of 2019. Kimmel, whose 14 years in his late night slot is longer than any of his broadcast rivals, has put ABC on the map in late night. The extension for Kimmel comes a little less than a year after his biggest rival, Jimmy Fallon, extended his contract as NBC's host of "The Tonight Show." Fallon recently signed on for another six years putting him behind the desk until 2021. So far this season Kimmel has averaged 2.4 million viewers. While Kimmel usually finds himself in third place behind Fallon and his other late night competitor, Stephen Colbert, Kimmel's personality, location in Los Angeles, and social media prowess has helped him stand out with audiences. The host has interviewed high-profiled guests like President Obama, Donald Trump, and Oprah Winfrey, but has also been one of the most viral hosts in the late night world. Bits like "Mean Tweets" and Kimmel having his viewers pull pranks on their loved ones have helped "Jimmy Kimmel Live" bring in more than 4.5 billion views on YouTube. The news came on the same day as Kimmel did his annual routine at ABC's upfront presentation to advertisers in New York.